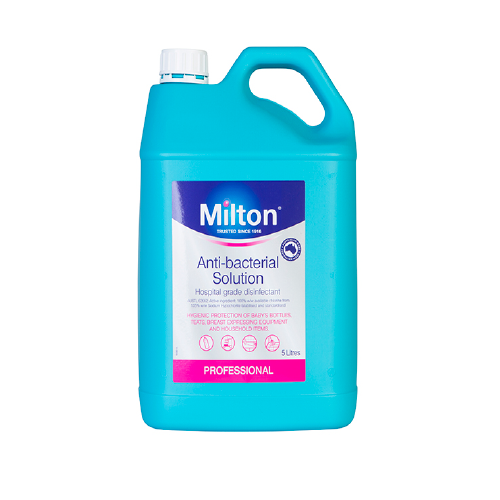 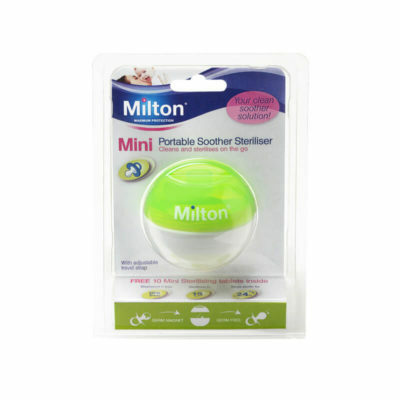 Milton Antibacterial Solution provides hospital grade disinfection in only 15 minutes. 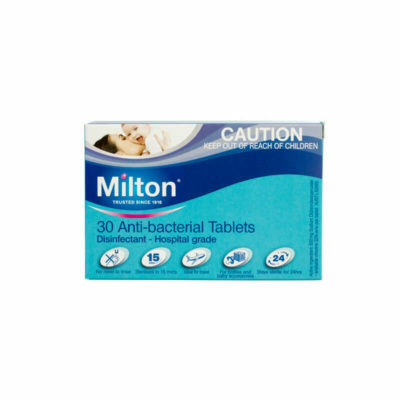 Only 50mL (2 ½ capfuls) are required to make 4L of antibacterial solution. 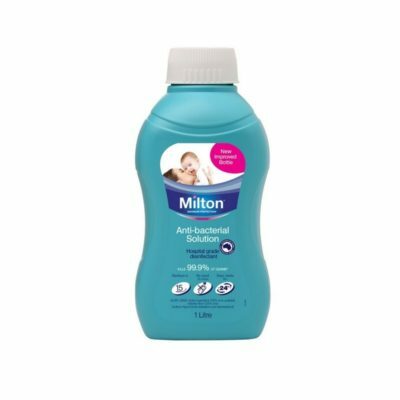 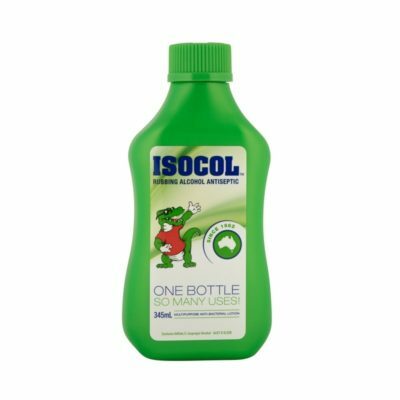 Ideal for disinfecting baby feeding accessories, breast pump parts, bottles, soothers, teething rings, small plastic toys, bowls, plastic cutlery, to name a few.